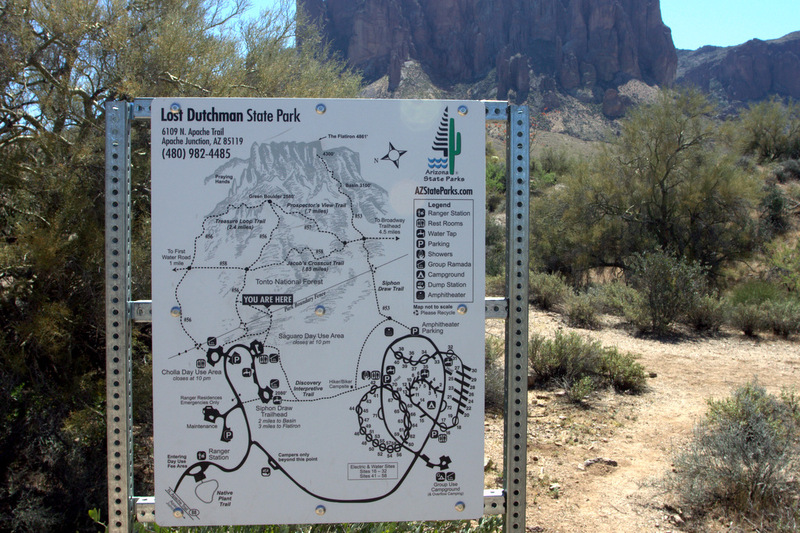 The first time I visited Lost Dutchman State Park was in the mid 1980s (I grew up here) and so there isn’t much about this park that I haven’t explored before, except I’ll admit I’ve never done an overnight trip with hiking deep into the park. Sure, Ive dreamt of stumbling across the lost gold that is hidden somewhere, but I’m not holding out any hope that I’ll be the one to find it. 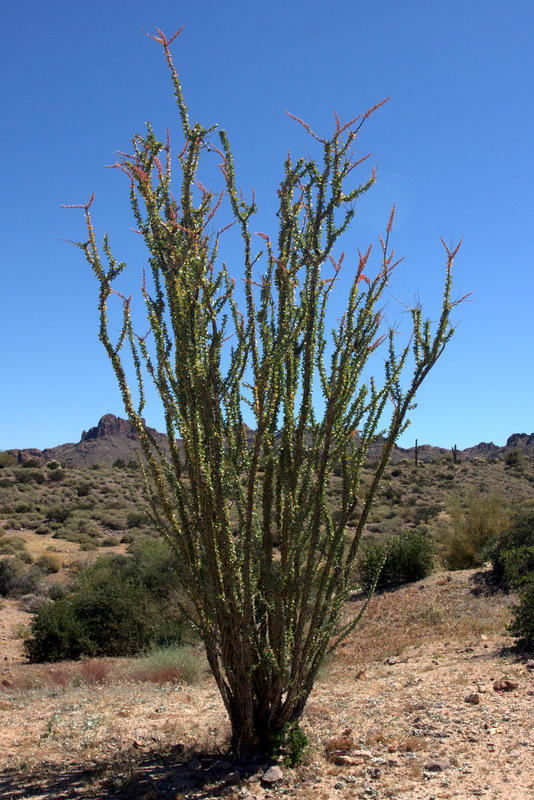 On your hike you’ll see lots of saguaro’s, ocotillo, choilla, and a variety of other cactus. There’s a lot of Palo Verde trees and Mesquite bushes. 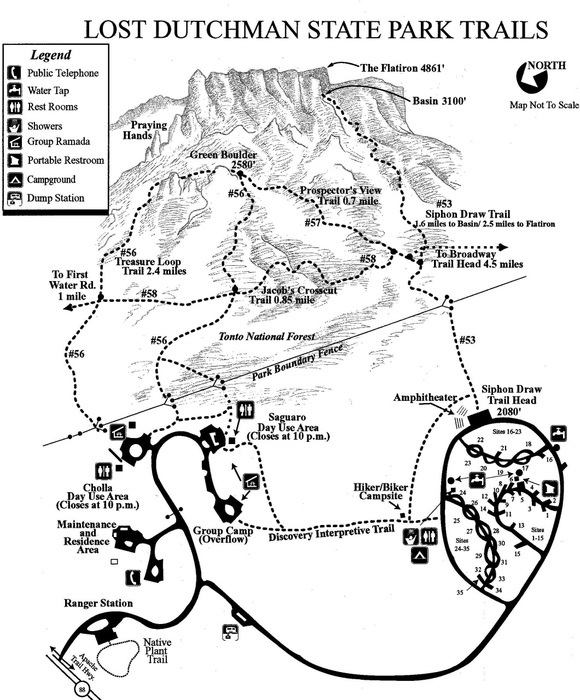 The awesome hiking trails around the base of the mountain offer beautiful views, and for first-timers I recommend the #56 trail loop (Treasure Loop Trail, 2.4 miles) because it gives you excellent viewpoints and is easy enough that you can be up and back in about an hour and a half, give or take. If you’d like to hike longer, you can extend your hike by taking the #57 trail (Prospector’s View Trail, 0.7 mile) over to the #53 trail (Siphon Draw Trail, 1.6 miles to Flatiron). For most day trips, unless you’re prepared for many hours of hiking, you probably won’t go up to The Flatiron. Just sayin’. There are so many legends surrounding these mountains. Until the mid 1800s, most of the legends revolved around the Apache Indians. In the 1800s a German prospector named Jacob Waltz emerged from the hills with gold ore. Apparently, he didn’t tell a single person until his deathbed. Before he died in 1891 he left clues to the location of the Lost Dutchman Mine. There was even a movie that depicted the gold, and that led to a fever rush of gold prospectors. Jacob revealed the clues on his deathbed, and even revealed for the first time. At the age of 45, Jacob Waltz immigrated from Germany to the United States, and later became a citizen of the United States (in California). In 1863 he left California, and headed to Arizona. He became known as “The Dutchman” and claimed a homestead near the Salt River. At this time, the Apache Indians were still active in the area, including the Superstition Mountains. 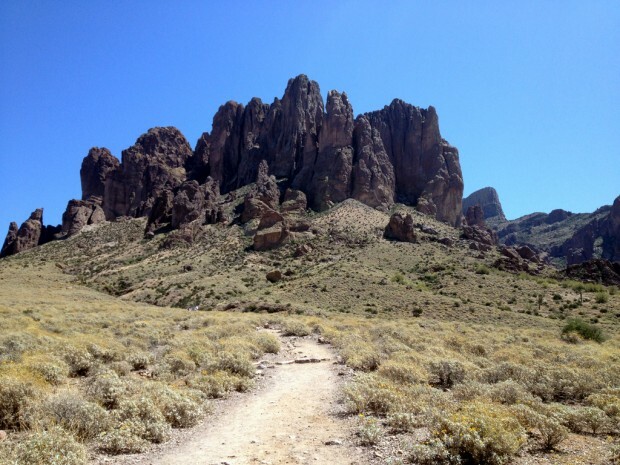 There have been over a 100 documented deaths in the Superstition Mountains. Some of them have been shot and killed, over a piece of dirt that they thought was the location of the mine, but later turned out to be nothing. It may be a fools promise of hidden riches. There’s something about those mountains that is very rough, and very intriguing, but you can’t go into them thinking you’ll become very rich, because you most likely won’t. When he died, he had 24 lbs of very rich gold ore hidden under his bed. There are so many stories related to the lost gold, and to get started read about the gold mine, and the Peralta stones (rocks left by the Peralto family in the 1800s to help them find the gold). If you’re curious about looking for the gold while you’re hiking, you’ll want to consult the list of clues that are based on research people have conducted. Good luck! 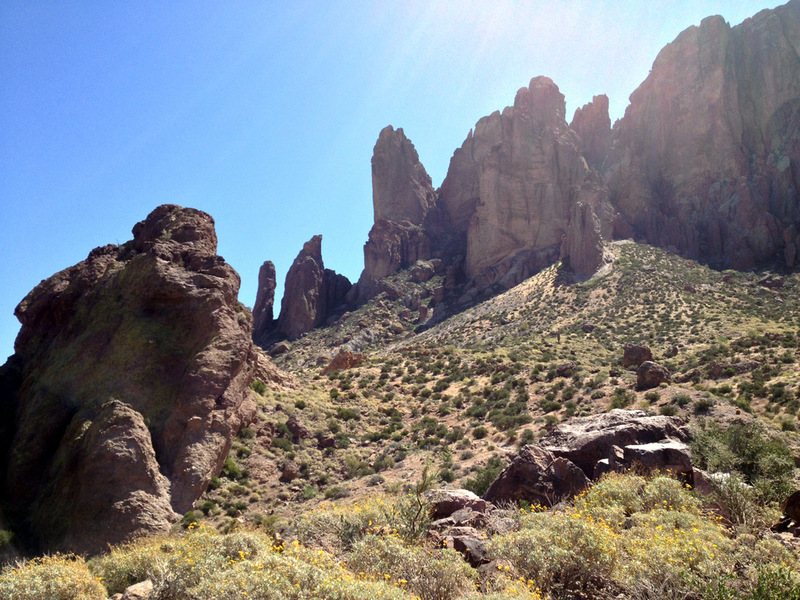 The Lost Dutchman State Park is the perfect day-hike. If you’re looking for an easy-to-moderate difficulty hike with views of the valley this is a perfect choice. It’s one of our favorite picks for bringing out-of-state friends to see. 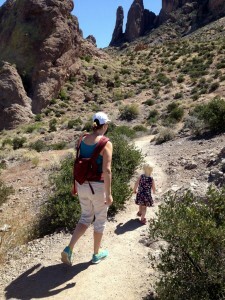 Before you hike, be sure to bring plenty of drinking water and decent shoes. 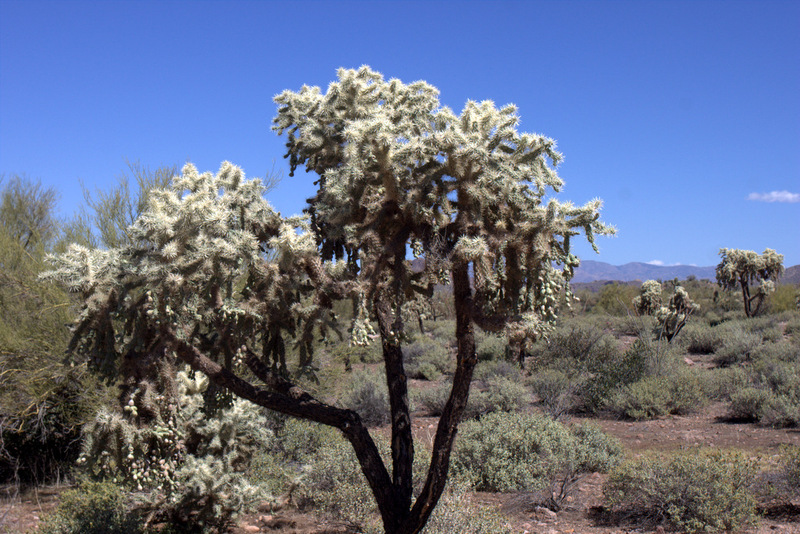 The elevation of the park is 2,000 feet and the location is the Sonoran Desert. 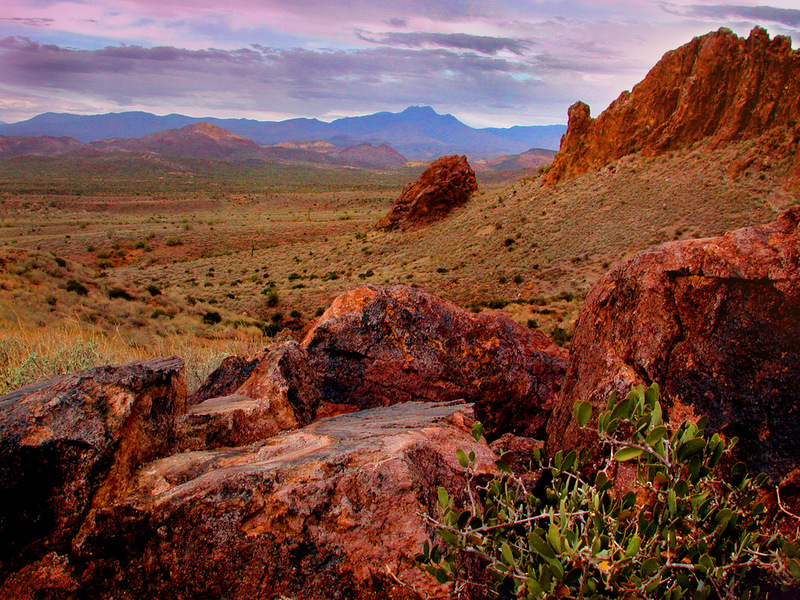 The park is located 40 miles east of Phoenix, AZ. The park is open every day and closes at 4 pm. 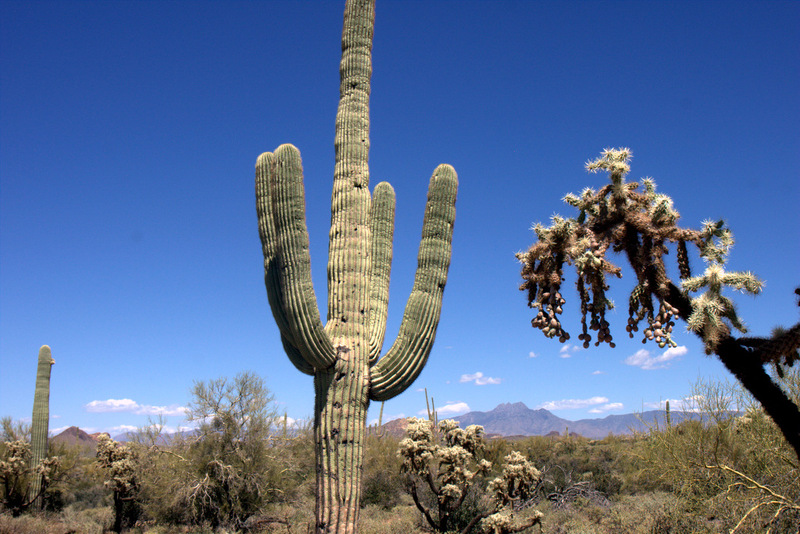 The park is operated by the state of Arizona, and offers campground reservations and more at azstateparks.com.